“This 600 Miles of Remembrance is all about Ryan and hopefully we can bring home another win for him,” said Dillon. 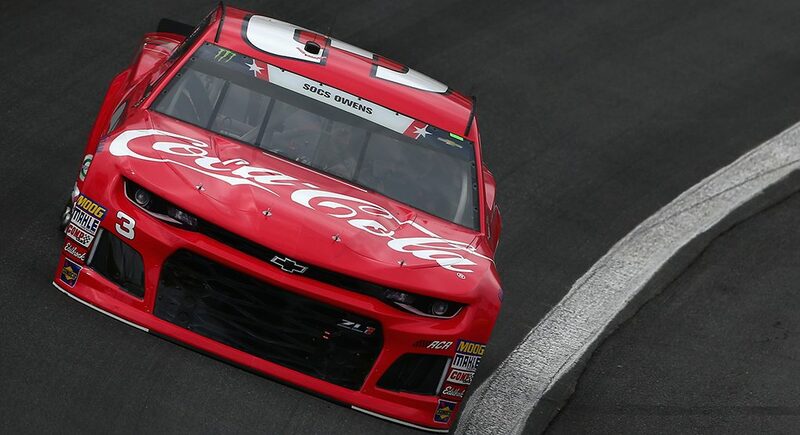 Austin Dillon picked up his first career win in the Coca-Cola 600 last year, leading only two laps. Among them, the most important one: the last lap. When Austin Dillon drove to Victory Lane in the 2017 Coca-Cola 600 at Charlotte Motor Speedway, he carried the name of Special Warfare Operator First Class SEAL Joshua T. Harris. This year, Dillon looks to deliver the same honor to U.S. Navy Senior Chief Special Warfare Operator William Ryan Owens of Peoria, Illinois. “I have always loved the 600 Miles of Remembrance program that we do during Coca-Cola 600 weekend. Having a fallen military service member on your car and ride with you is so special,” said Dillon. “Last year, winning my first Coca-Cola 600 and having Joshua Harris on the windshield of the car and having his family there. Coming home to Victory Lane with Joshua Harris on the car, I really felt like he was riding with us through those whole 600 miles,” said Dillon. “This year we have Navy SEAL Ryan Owens on the windshield of the No. 3 Coca-Cola Chevrolet Camaro ZL1, and I am looking forward to hopefully meeting some of his family members,” he said. Dillion will start the Coca-Cola 600 from position twelve on the grid. He is seventh in the regular season points and sixth in the playoff standings. The U.S. Navy SEAL was killed on January 29, 2017 while supporting U.S. Central Command operations against al-Qaida in Yemen. There were three other service members wounded in the raid that took Owens’ life. Reports estimated 14 members of al-Qaida were also killed in the raid. Owens was the first casualty of Donald Trump’s presidency, who traveled to Dover Air Force base in Dover, Delaware to honor the return of his remains. #NASCARSalutes U.S. Navy Senior Chief Special Warfare Operator William Ryan Owens.